St. Patrick’s Day is this week, which means businesses and storefronts everywhere will be decked out in green decorations, shamrocks and pots of gold. Of course, the holiday does provide a significant opportunity for marketing and advertising. 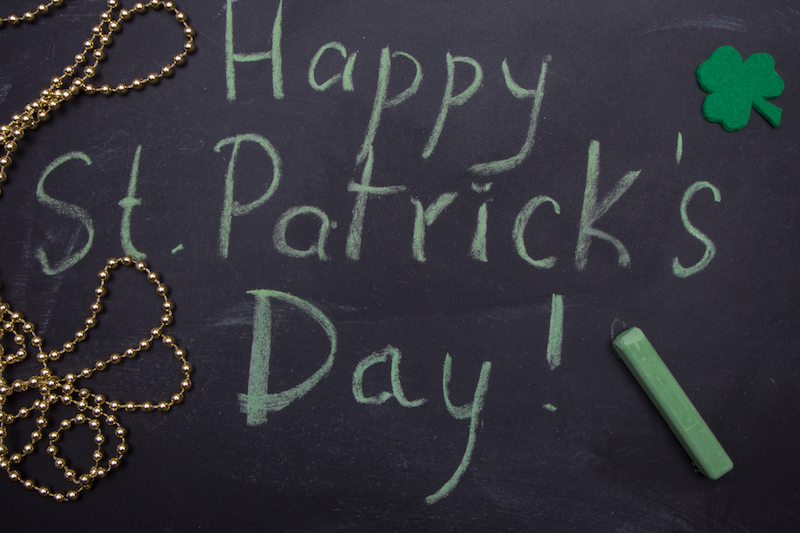 How can your small business get in on the action of marketing during St. Patrick’s Day? Here are five ideas to get you started and bring in the luck of the Irish. 1. Go green on social media. Enjoy free marketing and advertising for small business by turning your social media green this holiday. Share a St. Patrick’s Day quote, meme or picture to show a lighter side of the company. You can even try out different posts on different media, such as Facebook, Twitter or Instagram, to see which drives the most engagement. Have fun and don’t be afraid to show your goofy side when sharing and promoting on St. Patrick’s Day. 2. Host a St. Patty’s Day giveaway. One easy way to drive traffic to your website or storefront is through a St. Patrick’s Day giveaway. Whether it’s hosting a social media contest, website challenge or in-store promotion, giveaways are an awesome tool to bring in consumers and turn them into customers. Choose something desirable to give away, but still be sure to tie it into the St. Patrick’s Day spirit. For example, a restaurant may offer a chance to win a supply of green beer. Whatever your small business decides, have fun with the holiday and promotion. 3. Hold a leprechaun trivia contest. Everyone loves a good ol’ fashioned trivia contest, and St. Patrick’s Day is no different. Host a holiday trivia contest either online or in-store to see who can get the most answers right, or can answer a tough question correctly. Winners can be entered for a prize, or enjoy a small sale to celebrate their victory. The first step is finding humorous fun facts about St. Patrick’s Day. Second step is advertising the contest and letting your customers do the rest. 4. Give green day deals. Of course, it wouldn’t be a holiday without some great deals to take advantage of. Promote your small business this week by giving good green day deals. Tie the deals into St. Patrick’s Day as much as possible and see how many customers come streaming in. 5. Get in the storefront spirit. Finally, get in the spirit of things this St. Patrick’s Day by decorating your storefront with green shamrocks, leprechaun hats, rainbows and pots of gold. Create some unique store signs and displays for the holiday to draw viewers in and engage them with your business. The more unique and creative, the better turnout you will have. This St. Patrick’s Day, promote your company by trying out some of these lucky marketing tactics. Go green this week and grow your small business with a little bit of luck of the Irish.